Vv Glitz n Glam was officially launched back in August of 2013. After years of both partners being approached for their show-stopping carnival boots designed for themselves. It was then the dynamic duo decided to work together as a team to share their talents with the world!! These designers shared an admiration to detail and believed that carnival costumes were never complete unless complimented by extravagant footwear and accessories with their motto being, "Why plain Jane it, when we can glamorize it!" Together they formed a union that would ultimately prove not only was their creativity level at an all-time high, but their ability to create a product that was precise and detailed along with quality that would stand up to any bacchanal! 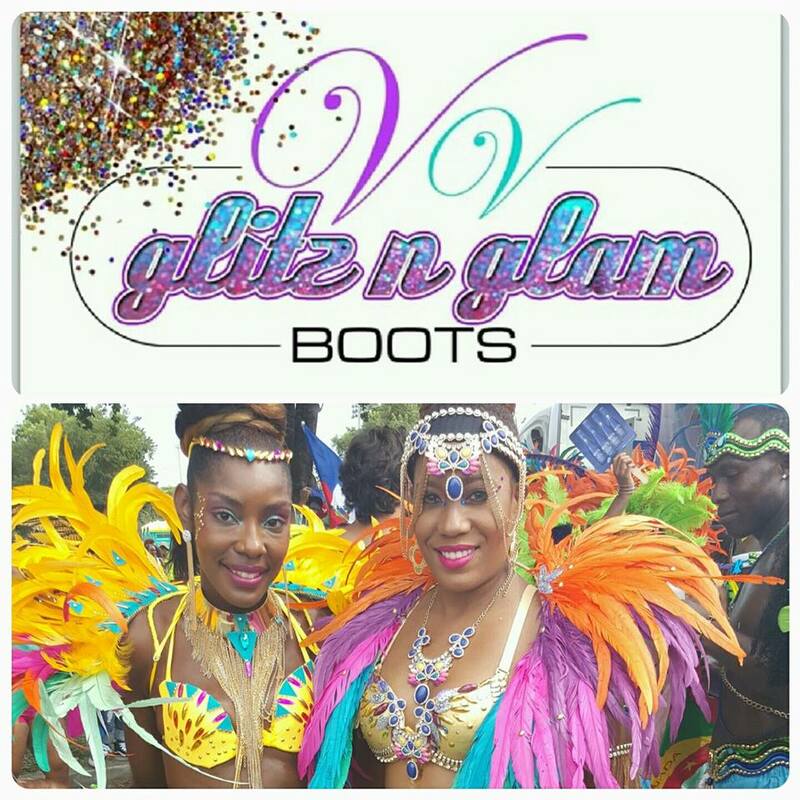 Their profound love for carnival, artistic ability & love for their clients quickly sprung them to the top, landing them to be known as one of the most sought after carnival boot designers in the business!! These ladies are a force to be reckoned with when it comes to their skill, creativity and sense of style! They glamorize not only carnival footwear and accessories but have glamorized wedding shoes, wedding accessories, custom kicks, laptops, IPhone just to name a few. If it needs enhancing and a touch of glam, you've come to the right place!!! Their goal is to take your carnival experience to the next level and leave you feeling like the King or Queen of Kha-ne-VAL!!!! !